With millions of seniors today struggling with dementia and dementia-related symptoms, it has never been more important for family members and caregivers to step up and make sure that their loved ones are getting the care and attention that they need while battling this difficult disease. While there is still no cure for dementia, there are things that seniors can do to lessen the severity of their dementia and its side effects. One of these things is to get a quality night of rest. Sleep is extremely important for all seniors, but is particularly essential for seniors who also have dementia. Here are some of the most relevant facts about sleep and dementia that every senior and their caregivers should know about. Studies have found that seniors who have issues with sleep deprivation and insomnia can actually increase a person’s likelihood of developing dementia. This is why it is important that all seniors, even if they don’t have signs of dementia are still getting plenty of sleep every night. Many times seniors who struggle with sleep deprivation or insomnia do so because they are dealing with a great deal of stress. If you can help with stress management, then you can probably help alleviate a great deal of these sleep related issues. 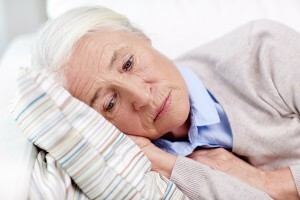 Seniors who already have dementia are also more likely to suffer from sleep issues. 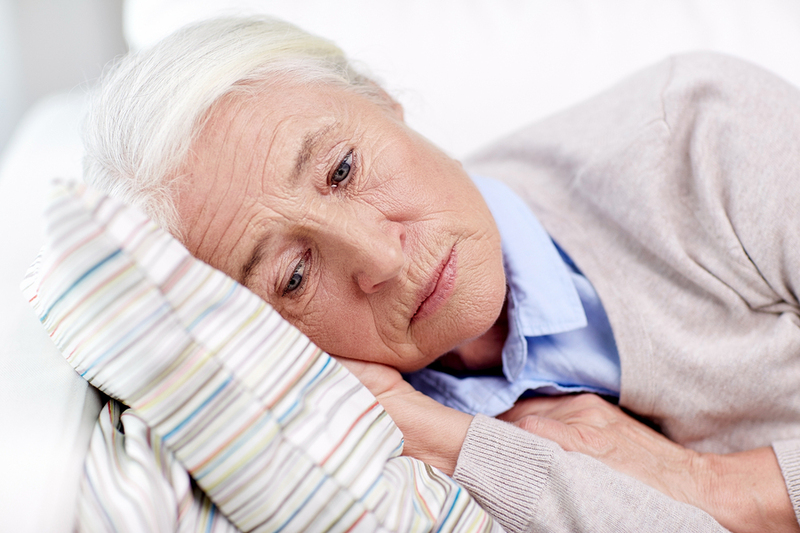 In fact, seniors with Alzheimer’s who already tend to have sleep issues often find that their sleep problems worsen once they develop dementia. As the brain changes with this condition, many seniors have trouble developing a sleep/wake routine, wander during the nighttime and nap during the day and have issues falling asleep. This is why creating such a set sleep cycle is so important for those with dementia to get on a set routine that can help them fall asleep easier and stay asleep longer. Any senior who has dementia needs to be on a set sleep schedule. This is particularly important if you have been noticing issues with seniors suffering from confusion, mood swings, more memory loss or anger as the day concludes, then it may be time to start establishing a more strict schedule. Help seniors get up in the morning with natural sunlight, keep their meals at the same time every day and make sure they enjoy a pre-bed routine that helps them start to relax and unwind before they fall asleep. It can go a long way in helping them get quality rest at night. A great caregiver is the key to helping any senior with dementia live a safer, happier and healthier life. This is why caregivers need to focus on helping themselves get sleep as much as they help their loved ones get sleep. The National Alliance for Caregiving states that 87% of surveyed caregivers have issues with stress, energy, sleep and being woken up in the middle of the night. A respite care provider is a great solution for seniors who may be struggling to get the sleep that they need. The more seniors and their caregivers understand about sleep and what it takes to get a quality night of rest, the better. A good night of rest can go a long way in improving the life of any senior who may also be battling Alzheimer’s or dementia.